The advancement of self-purification of a stream can be measured by proper physical, chemical and biological laboratory tests. Proper wastewater treatment methods have become crucial due to population increase in urban communities which has led to the proportional increase in the volume of wastewater and in the amount of organic waste. All disposal methods result in such unsatisfactory outcomes that remedial measures become paramount hence the development of wastewater treatment methods prior to when eventual disposal has to be commenced. 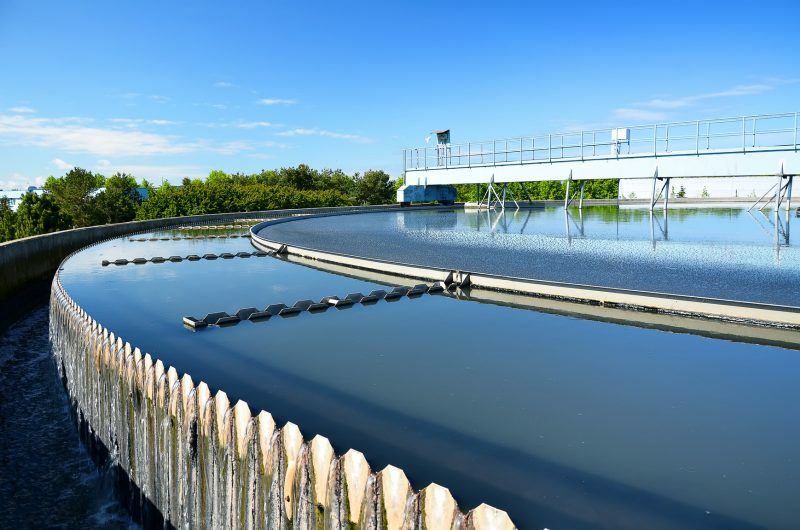 Wastewater treatment methods are designed to remove enough organic and inorganic solids from the wastewater so that it can be disposed off without infringing on the set objectives. The advancement of self-purification of a stream can be measured by proper physical, chemical and biological laboratory tests. Similar tests are used to measure and control the progress of wastewater treatment methods. According to EEC Global Operation LLC from the US, more and more housing complexes are moving towards package plants so to be independent from the municipal systems and save water and money and re-use effluent water for direct irrigation, this is saving a lot of water and money. Moreover, the lack of clean useable water will dictate an increase and need for low cost high quality treatment systems that are easy to build and maintain. Mr. Leiv Rieger of inCTRl Solutions mentions that, the most commonly used wastewater treatment methods in Africa are waste stabilization ponds and activated sludge systems. However, a large diversity between countries and regions exists. “Moreover, the need for potable water will drive the development of customized decentralized solutions in rural areas whereas urbanized cities will see an increase in resource efficient treatment technologies,” he adds. In Mr. Rieger’s opinion, the critical challenge for introducing innovative wastewater treatment solutions is the education of operators and engineers. “Typically, the more efficient the treatment technology, the higher the demands in terms of training and education,” affirms Mr. Rieger. Chemical treatment involves using some chemical reaction or reactions to improve the water quality. Probably, chlorination is the most commonly used chemical process. Chlorine, a strong oxidizing chemical, it is used to kill bacteria and slow down the rate of wastewater decomposition. Bacterial death is achieved when key biological processes are affected by the chlorine. Ozone is another strong oxidizing agent that has also been used as an oxidizing disinfectant. A chemical process commonly applied in most industrial wastewater treatment processes is neutralization. Neutralization involves the addition of acid or base to adjust the pH levels back to neutrality. For instance since lime is a base it is sometimes utilized in the neutralization of acid wastes. Coagulation involves the addition of a chemical that forms an insoluble end product through a chemical reaction, which serves to remove substances from the wastewater. Polyvalent metals are normally used as coagulating chemicals in wastewater treatment and model coagulants would include lime, some iron containing compounds like ferric chloride and alum (aluminum sulfate). Some processes may actually be physical and chemical in nature. The use of activated carbon to ‘adsorb’ organics, for instance, involves both chemical and physical processes. Processes such as ion exchange, which involves exchanging some ions for others, are not widely used in wastewater treatment. Physical methods involve techniques where no gross chemical or biological changes are involved and physical phenomena are strictly used to treat the wastewater. These techniques may include: coarse screening to get rid of larger entrained objects and sedimentation. In the case of sedimentation, physical phenomena involving settling of solids by gravity are permitted to operate. Normally this consists of simply holding a wastewater in a tank under dormant conditions for a short period of time, enabling the heavier solids to settle at the bottom of the tank; and removing the ‘clarified’ effluent. Sedimentation for solids separation is a very common process operation and is normally engaged at the beginning and end of wastewater treatment operations. While sedimentation is one of the most usual physical treatment processes that are applied to achieve wastewater treatment, another physical treatment process consists of aeration. This process involves, physically adding air ordinarily to provide oxygen to the wastewater. Other physical phenomena used in treatment still consist of filtration. This involves the passage of wastewater through a filter medium to separate solids. An example would be the utilization of sand filters to further get rid of entrained solids from a treated wastewater. Certain phenomena will happen during the sedimentation process and can be advantageously used to improve the water quality further. Allowing greases or oils, for instance, to float to the surface and skimming or physically removing them from the wastewater is normally carried out as part of the general treatment process. Micro-organisms, mostly bacteria, are used in the biochemical decomposition of wastewater to stable end products. More micro-organisms are formed and a portion of the waste is converted to carbon dioxide, water and other end products. Usually, biological wastewater treatment methods can be divided into aerobic and anaerobic methods, based on availability of dissolved oxygen. The purpose of wastewater treatment is generally to remove enough solids from the wastewater to allow the remainder to be discharged to receiving water without interfering with its proper use. The removed solids are primarily organic but may also include inorganic solids. Treatment must also be provided for the solids and liquids which are removed as sludge. Lastly, treatment to regulate odors, to decelerate biological activity; or eliminate pathogenic organisms may also be required. Mathew Dennis of Takreer Envirotech argues that, the method of wastewater treatment is universal; the key is to understand how the end result for the customer can be achieved in the most cost effective way. “The process used would generally be conventional methods of wastewater treatment in Africa,” he said. Takreer Envirotech is one of the leading suppliers of wastewater treatment systems which include: Grey Water systems, Car Wash Reclaim system, STP, MBR, MBBR, Dissolved Air Flotation, Multi Media Filtration, Micro filtration, and Nanotechnology “Our Systems are State of the Art products that provide a unique way of Control and Operations. We can provide systems that can be completely automated that can be remotely controlled to systems that can be controlled using conventional methods,” said Mr. Dennis. “One significant challenge in the industry is to find sustainable ways of wastewater treatment with complete understanding on the after effect on environment. Having a larger view towards the environment is critical while designing a wastewater treatment system to ensure it has a positive effect on the Ecosystem,” he asserted. Companies like Keneco are at the forefront championing for environmental preservation as one of the ways to restore clean water. This however, he admits comes with its own set of challenges. First, people are not keen on treating wastewater. “We are very quick to dirtify but not quick to clean,” he says. There are also no willing financiers for wastewater treatment systems. “People do not look at it as a revenue industry. So nobody is willing to finance. The more you dirtify, the more costly it is to rectify the mistake. The waste that we put in the water accumulates and to remove it costs ten times more. In Africa, we are not quick to resolve that mistake.” Mr. Rebo adds. Policing of industries and the waste they channel into rivers, or reuse is another shortfall. “The water standards have already been set. It is just that we don’t follow them,” he asserts. Vimal Chokhavatia of Chokhavatia Associates insists that, additional challenges the industry faces include: non-experience of the design and detail engineering firms, supply of machinery which is non-functional or non-matching to the requirement and the attitude of the buyers of wastewater treatment plant to compromise on quality of the treatment systems. “In many areas, the owners of the effluent treatment plant do not want to operate the system to reduce the operational cost,” said Vimal. The Technical Manager of Hydrolink Technologies Limited, Allan Apolo notes that treatment of industrial effluent poses more challenge than treatment of wastewater from residential spaces. This is because for residential spaces, the wastes can be treated biologically. However, for industries, the effluent produced varies from one industry to another, as waste from a food industry is not the same as that from a chemical factory. This therefore necessitates the use of a different technology appropriate to the specific industry. They source their technologies internationally from USA, India, among other countries. Mr. Apolo, says their treatment solutions are tailored to meet the client’s needs. “We carry out water analysis first to determine what is in your water. Depending on the contents of the water, we can then decide what method or technology to use for treatment. The source of the wastewater and what the treated water will be used for also determine a lot the method used to treat it.” Once they have installed your water or wastewater treatment plant, they also offer you after sales support and maintenance contracts. According to Pavan Gadhvi, the Director at Kanku Kenya Limited, currently wastewater management is left till last in relation to new development projects. This robs the client for an opportunity to comply with the regulatory requirement and implement an efficient resource management strategy through recycling. With over 15 years in the industry, Kanku Kenya Limited is a local solutions provider of core water and waste-water management technology, specialty water treatment chemicals and alternative energy for industrial, commercial and domestic applications. “We are playing a pivotal role in educating and increasing awareness of the importance of recycling water. In this effort, we are one of the primary companies that have live examples of enabling industries and establishments to approach and implement a zero-discharge policy at their premises,” says Mr. Gadhvi. Mr. Daniel Wanjuki the Director at Ecosave Africa Limited argues that, Kenya is taking small strides in the direction of waste water recycling. “The industry is slowly taking up the need to manage waste water in a scientific way that allows recovery of resources and a cleaner environment; with our company being behind Ecotreat, the only product making this possible at an affordable cost,” he adds. Ecosaves’s key initiative is to prevent and control pollution of natural resources and the atmosphere through use of Biotechnology for Organic Wastewater Treatment. “Ecotreat manages all streams of waste both grey and black waste water hence no need to separate the waste streams. It produces enzymes on site hence cheaper than introducing enzymes as a consumable product. Additionally, it does not produce methane gas during its breakdown process and does not require anaerobic conditions. Ecotreat is facultative in nature hence works in all level of waste profile,” affirms Mr. Wanjuki. However, Mr. Ashok Patel the Director at Kridha Limited is of the opinion that, Kenya is doing quite well in recycling waste water. “We have manufactured, installed and commissioned more than 250 in Kenya and over 20 waste water treatment systems in East Africa,” he adds. As an expert in water treatment standards and solutions, Kridha Limited incorporates environmental concerns in all its operations to ensure sustainable resource, consumption and utilization. Currently the company boasts of a huge client base across East Africa. “We manufacture water treatment and recycling systems and equipment for industrial market as well as domestic sector. 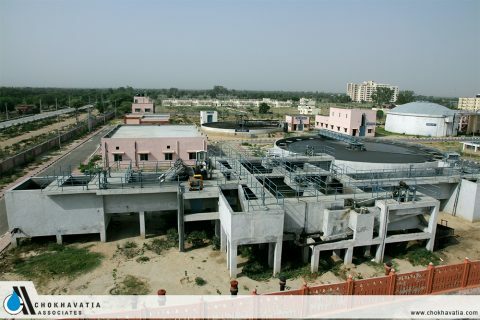 Standard and customized systems from Kridha Limited address concerns on water treatment and recycling, rainwater harvesting and waste water treatment. The company is known for its After Sales Services. We make water treatment and recycling a reality,” asserts Mr. Patel. According to Guhan Kandasamy of WABAG, the overall African market is in nascent stage and still sticks to conventional methods like Activates sludge process and direct disposal. “However the market is gradually moving towards advanced technologies like membrane based systems and Biological nutrient removal to enable recycling,” he adds. However, Mr. David Light of Biobox insists that, in the absence of the enforcement of (often excellent) legislation, property developers may neglect the need for proper wastewater treatment and disposal onsite, resulting in inadequate makeshift septic tank or soil infiltration systems. Once these fail due to their inadequate design and construction, they pollute local rivers and streams, and become a health hazard to the surrounding communities. “That said, correctly designed septic tank and soak-away systems are often still the most appropriate solution, especially in sparsely populated areas with good soil permeability. We favour such a system over a mechanical process as it is likely to yield a better result over its 10 or 20 year life. Moral of the story, seek professional design advice from an experienced engineer,” he adds. Biobox enable households and businesses to recycle, treat and conserve water through expert knowledge, superior products and a regional branch network. Specializing in the design, supply and installation of water and wastewater treatment systems, Biobox systems are supported through a regional network of independent Distributors and international partners. According to Martin Pryor of Prentec, wastewater treatment is necessary to protect rivers and reservoirs. “In a number of areas there is little or no wastewater treatment. This leads to the contamination of water resources and groundwater. Polluted water resources can lead to Bacteriological contamination of drinking waters and thereby poses a significant risk to human health,” he adds. Prentec makes use of a “Sequencing batch Reactor” (SBR) wastewater plant design. This allows the full treatment of municipal sewage in one process reactor. 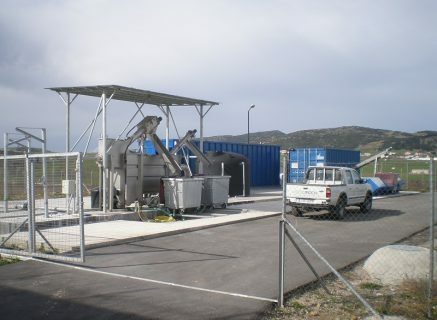 The sequence includes: Aeration for COD and ammonia removal; Stagnation for settling of biomass; Discharge of settled sludge as required; and the Decant of clear water. The clear water can be chlorinated for disinfection prior to discharge. The settled solids can be dewatered on a drying bed. Mr. Steve Nicol of Scarabwater is of the opinion that, Africa has never developed fully a modern system, and therefore the pit latrine is the most common method of sewage disposal, throughout rural Africa. More formal treatment works in the urban areas, were originally designed and built by the town planners. However, maintenance, upgrades and additions are often overlooked for more pressing expenditure, and so the system becomes neglected, and overloaded. Pollution flies and disease become a very real threat. According to Dave Anderson of Industrial and Environmental Concepts (IEC), the best wastewater solutions for Africa are pond based systems that can rebound from electrical outages. Pond based systems do not rely upon mechanical equipment to work. “They are a low-technology solution that can easily meet primary effluent requirements. They can be upgraded to meet secondary and tertiary limits. However, those systems will need electricity 24/7,” he adds. Mr. Grigoris Likogiannis of Ecotech asserts that, the reuse of the WWTP’s effluent should be a necessary condition of any WWTP that is under designing. It would help resolving the limited water resources of Africa. Ecotech has been present in the Wastewater Treatment market for the last 43 years, having developed significant know-how and has managed numerous projects ranging from housing to large-scale tourism infrastructures for domestic wastewater. “Apart from the tertiary treatment methods that will help irrigation purposes in many African countries, the use of membranes technology will maximize the quality and will reach the up-to-date technology trend for WWTPs,” he adds. Mr. Gary Waite of Jet Inc recapitulates that, everyone’s awareness of the environment, water resources and the importance to protect these assets is very important. Energy savings and the quality of wastewater treatment equipment is the driving force to advanced treatment. Jet Inc, with its manufacturing facility in Cleveland, Ohio, U.S.A, specializes in wastewater treatment technology that utilizes the extended aeration treatment technology and Moving Bed Biofilm Reactors (MBBR) processes to provide solutions for complex wastewater treatment needs. Mr. Waite further adds that Jet looks forward to being a part of Africa’s advancements in protecting the environment and its water resources by working with local distributors, providing value additions to their companies and customers; and also providing continuous education to wastewater treatment companies and their operators.